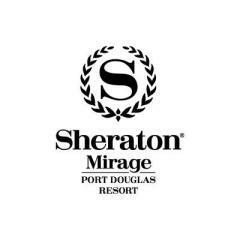 Perfectly poised on Four Mile Beach, the Sheraton Mirage Resort is the only 5 star beachfront resort in Port Douglas. Set in 147 hectares of lush tropical gardens, the resort comprises of 294 superbly appointed rooms and suites, plus over 100 split-level villas. Leisure facilities include an 18-hole championship golf course, 2 hectares of magnificent swimmable blue lagoons, restaurants & bars and the Crystal Wedding Chapel. Starwood Hotels & Resorts Worldwide, Inc. is the most global high-end hotel company in the world with more than 1,200 properties worldwide in 100 countries. Starwood is a fully integrated owner, operator and franchisor of hotels, resorts and residences with the following internationally renowned brands: St. Regis®, The Luxury Collection®, W®, Westin®, Le Méridien®, Sheraton®, Four Points® by Sheraton, Aloft®, element®, and the recently introduced Tribute Portfolio.